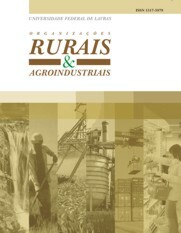 Brazilian agribusiness has stood out in recent years for its efficiency and productivity growth, based on technology, planning, management of results, and continuous improvement of performance. In the live cattle market, the price oscillations show themselves as a risk that the producer has to minimize in order to ensure the success of his business. In this scenario, the futures market has been translated into an important hedging instrument, however, a confronting challenge is the identification of the production ratio that must be protected. Thus, this article aims to statistically compare the performance of six models for the calculation of the optimal hedge ratio in the Brazilian live cattle futures market: Ordinary least squares, BEKK, DCC by Tse and Tsui (2002), DCC by Engle and Sheppard (2001), time-varying beta correlations, and unconditional beta. The ratios were estimated for the log-returns of the daily and monthly price series of spot and futures live cattle, comprising the period from 10/2/2000 to 19/8/2014. It was noted that for the daily series, the contractual changes generate intertemporal breaks, resulting in the increased variance of the futures log-returns and the low optimal hedge ratio. For monthly series, it is concluded that the BEKK, followed by the unconditional beta are the best models when it comes to reduction of variance and maximization of the Sharpe ratio.